Changing reservation software entails more than just updating a few links on your website. These are the additional steps needed to make sure you’re not giving potential guests the wrong booking link and missing out on new business! If you are switching to a new reservations system, you need to do more than contact your webmaster to change the links on your site and update your Analytics settings. Once you have your links, you will need to log into ALL of the directories to which you belong such as: Select Registry, BBONLINE, BNBFINDER, any Wedding Sites, Local or regional directories, Facebook booking buttons, etc. – any directory or website that may have had a link directly to your old reservation system. 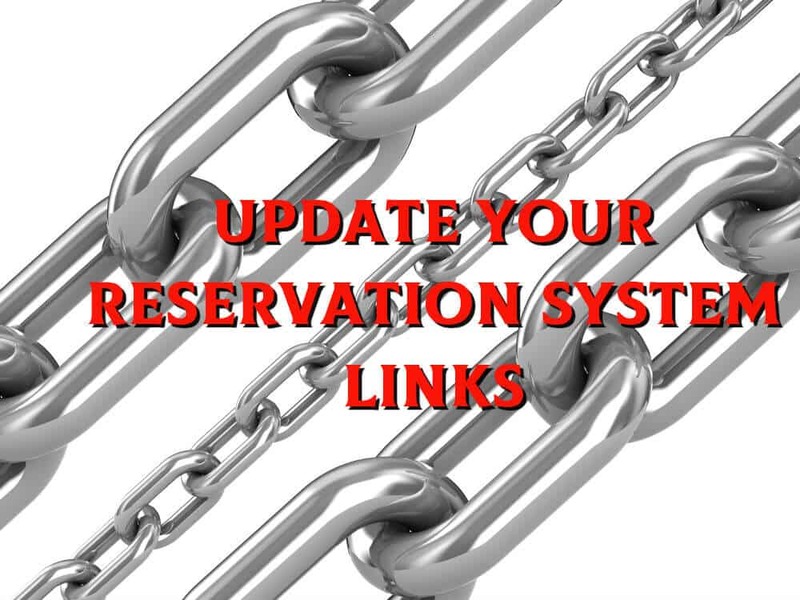 You will need to update those links to your new reservation system link. If you are using TripAdvisor TripConnect, you will need to change the booking engine feeding your CPC campaign. To do so you will need to deactivate your current account and create a new campaign under the preferred booking engine. When you do this you will lose access to your campaign dashboard containing your financial information. Then you will need to re-install your CPC campaign from scratch using your new booking engine. Contact your TripAdvisor project manager to initiate the process. If you have any problems reaching your project manager, contact Lisa at Lisa@Acorn-is.com. If you are sending out newsletters or providing your booking or gift certificate links via e-mail or in your email signature, make sure you update to the links. Following these steps will help ensure that you don’t have double or missed bookings! This entry was posted in reservations sytems by admin. Bookmark the permalink.